Affordable, Stress Free Waste Removal. Got an Old or Broken Kitchen Appliance? It can be hard to know when it’s the right time to upgrade your oven or stove. Obviously if it is broken you don’t have a choice, but for these appliances there can be a number of other reasons. At Same-Day Rubbish Removal we do everything we can to care for the environment and discourage the unnecessary dumping of these kinds of items. We don’t believe aesthetics and needing a new colour scheme is reason enough to dump – you should be able to sell or give them away to someone who actually needs an upgrade. A good reason to upgrade your stove or oven is due to risk of fire, over time as they break down, things can go wrong – new appliances are also built to stricter fire safety standards. The other good reason to upgrade is efficiency, with some new stoves and ovens you can cook twice as fast as an older oven and use half the electricity. 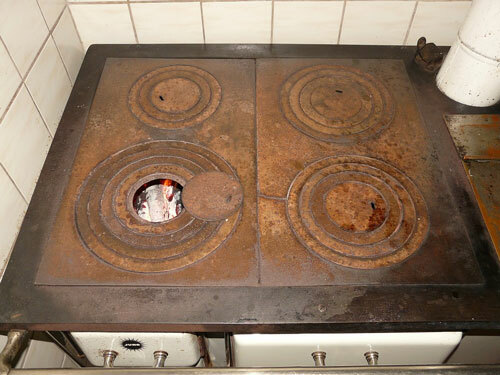 If you have upgraded and need to get rid of your old kitchen appliances, call us today on 0402 737 046. If you need to get rid of any of these items, our experienced team can come and take them away fast and affordably. We’ve worked hard at improving the efficiency of our waste collection process and can proudly claim that we’re the cheapest service in Sydney. We never leave a job until it is 100% complete, if you’ve got a lot of rubbish we like to leave your place looking spotless. It doesn’t matter what type of trash you need taken away or where you need it taken from, Same-Day Rubbish Removal area ready to help you out. We make light work of the various household items that would usually be considered difficult to remove – lounges, couches, beds, mattresses, whitegoods – you name it, we can take it away for you and you won’t have to even lift a finger! Whether you’re down in the Liverpool area, up in the Hills District, or over in the Eastern Suburbs, our team is ready to come and take your excess junk problem away. Say good bye to that old stove or oven today. Call us now on 0402 737 046 for a free quote.